Melanie Cole (Host): You don’t typically think of children when you think of cardiology; however, as our obesity epidemic increases, more children are presenting with adult like diseases of the heart. My guest today is Dr. Sharon O'Brien. She’s the Director of Pediatric Cardiology at Boston Medical Center. Dr. O'Brien, let’s start with why children now need preventive cardiology services. What’s changed with children’s health in regards to cardiac issues? 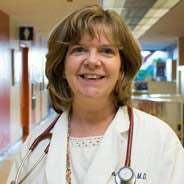 Dr. Sharon O'Brien (Guest): Well that’s a great point, and over the past several decades, we’ve really seen an exponential increase in the amount of overweight and obesity in our children and this is associated with increasing comorbidities including high blood pressure, high lipid levels, and elevated glucose levels. Host: Well it certainly is becoming a problem in the country today. Tell us a little bit about pediatric cardiology as a field and what services you offer. Dr. O'Brien: Well with pediatric cardiology, we do a full range of noninvasive services that address either congenital heart disease, so heart disease that children are born with or acquired heart disease, and this is where our preventative cardiology comes into play. So these are complications that are acquired over a period of time. Host: As I said in the intro, Dr. O'Brien, we don’t typically think of children in cardiology. What would send someone to a pediatric cardiologist in the first place. Is this – we hear about sudden cardiac death in athletes, you know, but kids don’t tend to have an EKG at a well visit. How do we know? Dr. O'Brien: Right, so we get referrals for all sorts of things from our general pediatricians and that may include kids complaining of things like chest pain or funny heartbeat, palpitations, dizziness, fainting, kids who aren’t playing up to their level that they’ve established in the past. So they’re having some type of exercise intolerance, we may evaluate them for that. Certainly when there’s a family history of a cardiac abnormality we’ll see kids; we see moms who are pregnant with babies and there’s been an identified concern about the baby that they’ve asked us to evaluate the fetus and look for congenital heart disease in the fetus. So there’s a huge range of cardiac issues that we evaluate kids for nowadays in our clinic. Host: And one thing that I’ve noticed, Dr. O'Brien, is that now some children at some school systems are getting an EKG as part of their pre-participation sports physical, what do you think of that? Dr. O'Brien: So that has been a subject of controversy for quite some time. EKGs, although when they’re normal, they do not rule out a cardiac abnormality. If they’re abnormal, that is certainly a way for somebody to push it to the next level and get a cardiologist involved to figure out what the meaning of that abnormal EKG is and whether it’s something that the family and child have to worry or if it’s something that’s abnormal but normal for them. Host: It’s a very interesting topic in itself. So tell us a little bit about what visits are like for the children and what types of providers are involved because as you mentioned with obesity and sometimes we even see the whole family being obese, tell us a little bit about what that is like for the children when you’re working with them, and are you also working with their families? Dr. O'Brien: Yes absolutely. So when we see families and children because obesity and concerns for obesity related comorbidities, we will see hopefully one or two parents with the child so we can talk about it altogether. The child will come in. They will get their height and measure done so we can plot them and see exactly how they compare to their peers in terms of weight, height, and body mass index. They will get an EKG. They will be evaluated by an echocardiogram, an ultrasound of the heart if we feel that there is an abnormality on the cardiac exam or if we are concerned that there might be an effect on the heart because of something like high blood pressure that can lead to thickening of the heart muscle. They will get some labs done. So we do send them to the blood lab to check their lipid levels. We know about half of obese kids will have an abnormality of their lipids and that can include high bad cholesterol, which is our LDL, low good cholesterol, which is our HDL and high triglycerides. So we’ll check for that. Also they can have abnormalities of the glucose metabolism, so we will check glucose as well as some of the liver functions which can also be affected. We do careful and repeated blood pressure measurements on our kids, and that is because again about half of all kids who are obese can have high blood pressure, and we know that high blood pressure in adolescents correlates with high blood pressure in adulthood, and that’s why it’s so important to be addressing the overweight and obese kids as early as possible to prevent the comorbidities that can occur in adolescence as well as the adult cardiac abnormalities that can persist and lead to premature deaths. Host: Well that’s certainly true and these services can help children so much in the long term. As far as other providers, dietitians, exercise physiologists, trainers, physical therapists, are there other people involved that are helping because it is, as you say, very comprehensive and there’s so much involved when a child has cardiac issues? Dr. O'Brien: Yeah, you’re absolutely right, that’s a good point and we do have a nutritionist that works with us during every preventive cardiology clinic so that our patients can get that excellent one on one nutrition evaluation and counseling that is really so key to helping our kids lose their weight healthy. Host: And along those lines, Dr. O’Brien, when we see that obese family and you’re working with a child, can they learn from the dietitian as well? Can they, you know, BMC has the food pantry for heart healthy food and cooking classes, can the family be involved in those too? Dr. O'Brien: Yes, and we hope as much as possible that families will get involved and we always tell our parents and kids that this is a family affair that what we’re talking about in clinic has to translate to what’s going on at home, and that means it’s effecting the entire family, and so when we have our nutrition counseling, we’re talking to not only to the child or adolescent but to the parents as well and whoever is in the clinic room with us, and hopefully that’s as much of the family as possible. Same thing with our nutritionist, she’ll be talking with the entire family, whoever is there during the visit, and we loop in our kitchen quite frequently and have cooking classes with Tracy, specifically designed for our obese and overweight patients. We have a better you Program, which is electronic messaging which can go out to the adolescent or the parent with tips on healthy nutrition and exercise, as well as links to the various resources in the community, boys and girls clubs, YMCA, cooking kitchen with Chef Tracy as well as our food pantry as well as other links to the Appellation Mountain Club and Outdoor RS, and we also have peer videos on that content which encourages patients to keep up the good work and we have feedback forms so patients and families can tell us what they like about our messaging and what we could do better. Host: That’s wonderful, and what a great service for children that might be suffering from cardiac issues. How receptive are the children? Because we used to worry that if you discussed a child’s health status or obesity with them that it would work against them, lower their self esteem, but that’s not really the thinking anymore is it? Dr. O'Brien: No I think that patients and families are a little bit relieved when they can hear someone talk honestly about our concerns, that when weight isn’t in the normal range for the age and for the height that we have to address it because we’re trying to prevent problems happening down the line, and as I always tell the kids that I see in clinic, you’re young and you’ve got a lot of years ahead of you and we want them to be really healthy here so that you can be doing what you want and not tied to medications or be feeling poorly. Host: So important. Wrap it up for us, Dr. O'Brien with your best advice for maybe for families so that they don’t have to come see a preventive cardiologist but with what you would like them to know about your field about the importance of keeping a good healthy heart, good eating, and physical activity, just really what you would like them to know about the services of Boston Medical Center. Dr. O'Brien: Right well I think it’s never too early to be thinking about healthy weight in our kids. We know that a lot of our kids who are obese during adolescence that they were obese before the age of five and therefore it’s never too early to be thinking about healthy food and activity in our kids and starting with thinking about the plates and using small plates and filling half of that plate with fruits and vegetables and trying to cut back on things like carbohydrates and simple sugars which can be so detrimental and then recognizing when problems occur, diagnosing it early. So recognizing high blood pressure early, recognizing abnormal lipids early, and then coming to us so that we can help with our nutritionists and with our programs to specifically target messaging and activity for your child and family. Host: Great information, thank you so much for all the great work that you’re doing and thank you again for joining us. This is Boston Med Talks with Boston Medical Center. For more information, you can go to bmc.org, that’s bmc.org. This is Melanie Cole, thanks so much for tuning in.